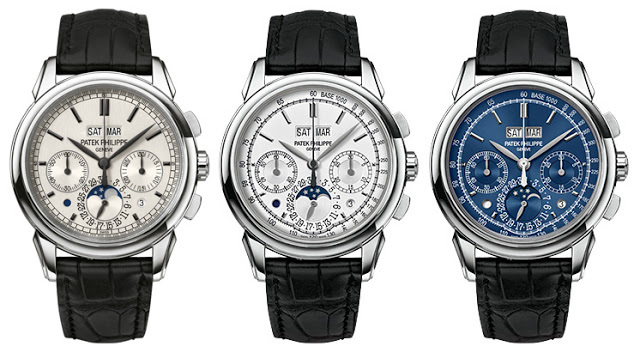 Patek Philippe has just updated its website to include two new dials for the ref. 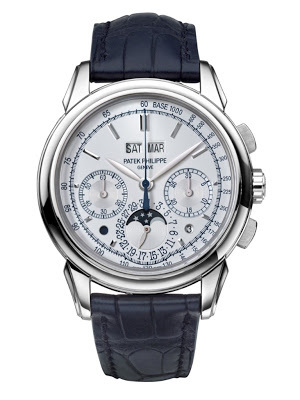 5270G perpetual calendar chronograph in white gold, including one in metallic blue. Without fanfare Patek Philippe has introduced two new dials for the ref. 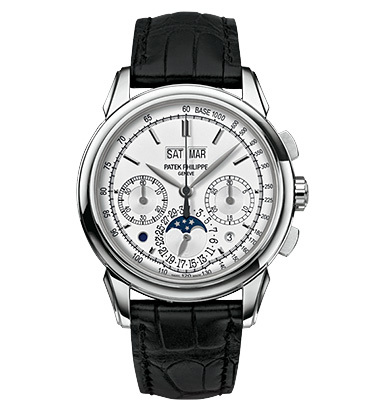 5270G perpetual calendar chronograph. One has a blue sunburst dial (the ref. 5270G-014) and the other has a silvery opaline finish (ref. 5270G-013). These two new models come not long after the limited edition ref. 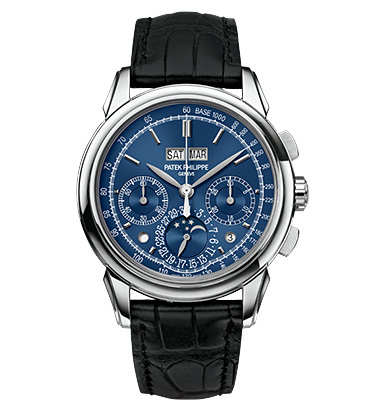 5270G-015 unveiled at Patek Philippe’s KunstWerkUhr exhibition (or “Watch Art Grand Exhibition”) in Munich. The first version of the ref. 5270G, which was launched two years ago at Baselworld, has been removed from the line-up, and is presumably discontinued. Though equipped with the in-house CH29 movement which is considerably superior to the Lemania 2310-based CH27 calibre, the ref. 5270 never quite sold as well as its Lemania-equipped predecessors. As a result, collectors have been speculating about the model’s future. Besides the dial colour, the new models have two other key differences. Firstly, the dial has a tachymetre scale on its perimeter, and the size of the logo on the dial has been reduced. All in all this brings it closer aesthetically to the much desired Patek Philippe chronographs of old.